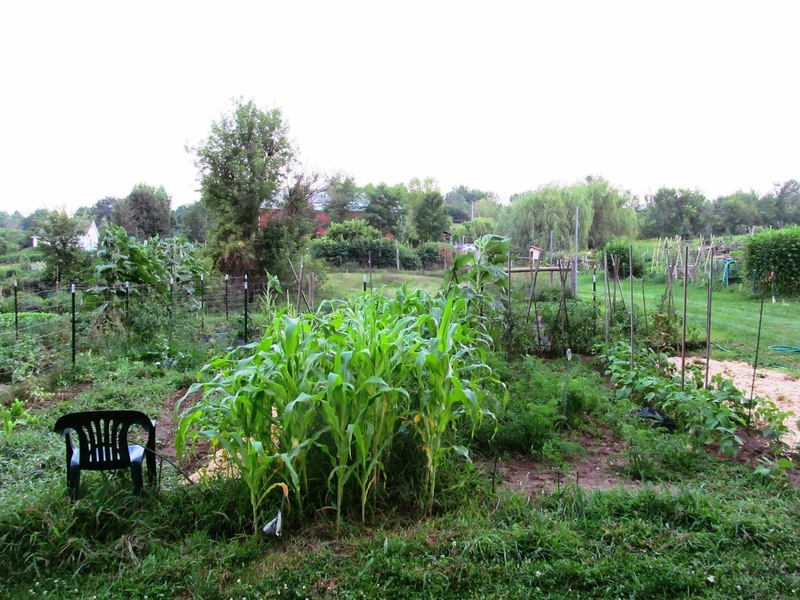 This is a great time for gardening - - and dream gardening. 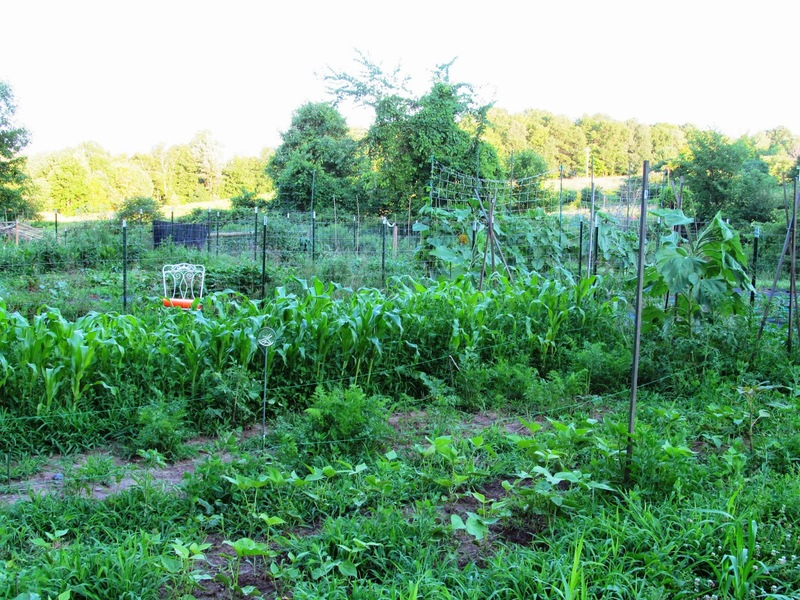 The only downsides to gardening are weeds, insects and hungry animals. Every entry in my garden journal opens with some phrase with the word “weed” or “weeding” in it. A sextet of cabbage plants may be doing the gardening variation of Agatha Christie’s Ten Little Indians. The plants went in this past Sunday and something ate one of them. In the Northeast, we have had a late start. 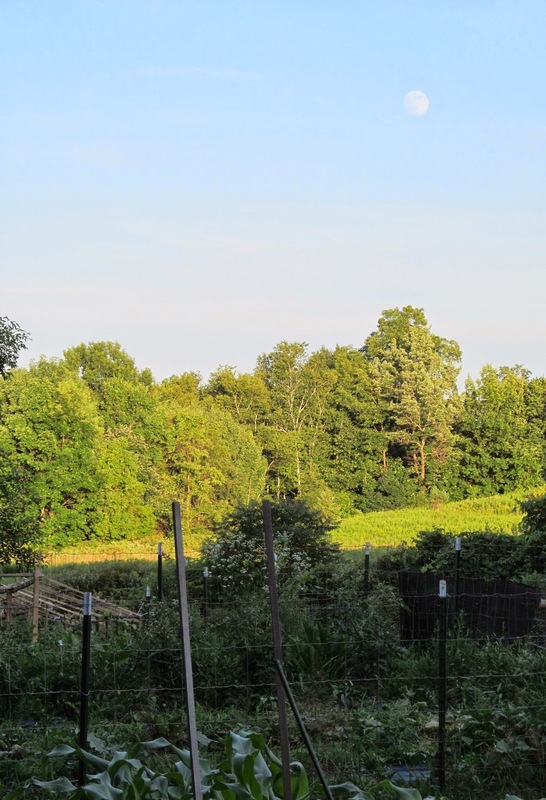 At the Guilderland Community Garden, we had cold soil, rain and other annoyances. But things are finally starting to catch up. My friend Allen reports his pumpkin vines are growing up to a foot a day. One morning, he put a rock by the end of the vine and its shot way past the rock by dinner time. 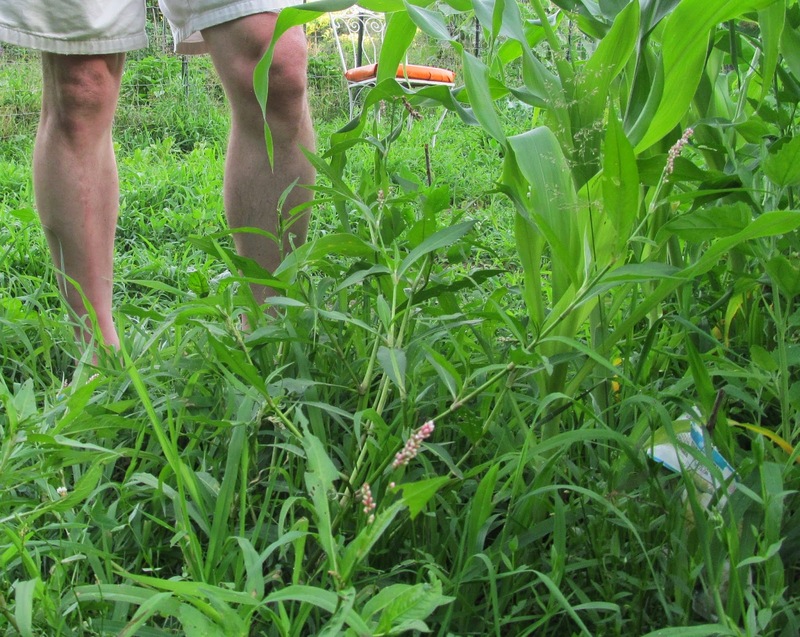 GQ may not be calling about those knees, but the corn was "knee high by Fourth of July!" We had a hedge by the backdoor that experienced big time die-back. Dorothy masterminded a mix of ferns and flowers to replace the hedge. It's growing along and we are looking forward to flowers, including zinnia! In southern California, my friend Dennis decided to grow tomatoes in pots this year. With a head start from an April planting, his tomatoes will be ripe soon. 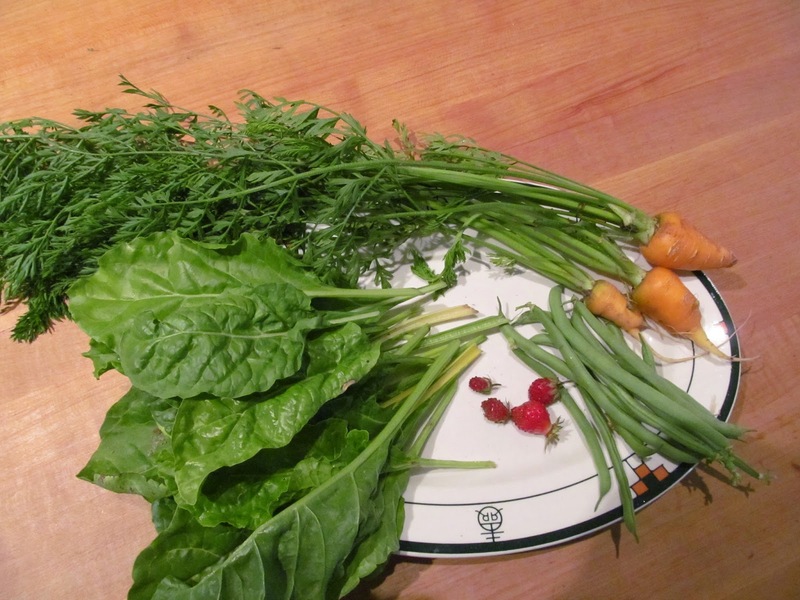 A few miles to the east, my daughter weeded a corner of her backyard. She is going for the Mediterranean approach: cacti and rosemary. It will be appealing to smell the rosemary while going about garden work. While gardening is great, don’t forget the wild treats. This morning, I was inwardly whining about having no more store-bought raspberries. But a quick walk outside to the shaded berry patch yielded a cup of relatively large black raspberries. 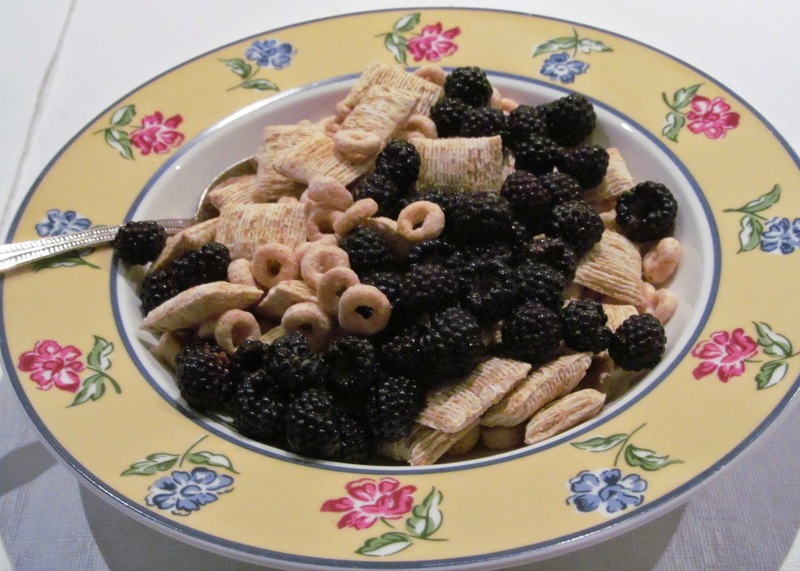 How about some cereal with those berries? On some nights, so many lightning bugs drift through the back yard that it looks like Times Square. My daughter gave me Blue Lake green bean seeds for Father’s Day. When I woke up Tuesday morning, I recalled dreaming of harvesting these beans. The dream was realistic down to the morning dew on the beans.